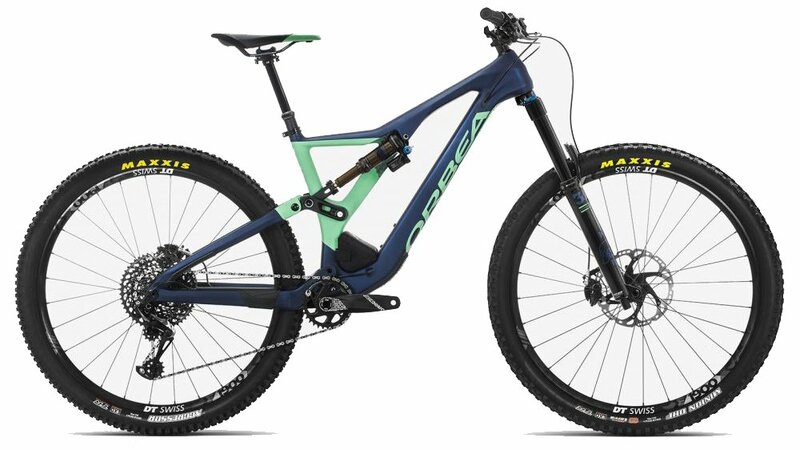 If you ride enduro, park, or aggressive all-mountain trails, you probably don’t need to look at the new Orbea Rallon for more than a couple seconds before you start salivating. It’s asymmetrical monocoque carbon construction and super slack geometry are the things of mountain bike dreams. With a smooth matte finish and vibrant Orbea colorways, the simple sight of this bike makes one thing clear: It’s the epitome of radness. The 5th generation of the Rallon has come a long way since the original. The newest adaptation is an asymmetrical design to the suspension, saving weight and making the shock more accessible for adjustments. There’s also two settings for suspension: Low and Lower. And trust us- those are fitting descriptions. 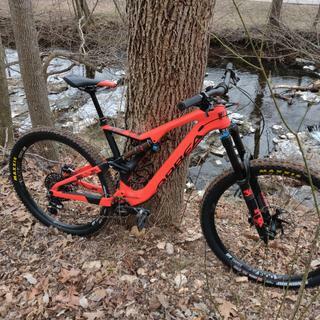 So if you like low slung rippers, pitching valiant scrubs, slashing berms, and staying in control on mega-rocky chutes and drops, this bike is bound to make you grin the whole way down the hill. The M10 build gives you the outstanding Fox 36 Performance Fork and DPX2 Factory Shock, for an absolutely unparalleled riding experience. A SRAM GX and X01 Eagle kit delivers the awesome 10-50t 12-speed drivetrain that makes impossible climbs and outrageous descents seem suddenly possible. Shimano’s XT Brakes deliver the excellent stopping power you expect from them, and the Aeffect Dropper Post lets you seamlessly transfer from climbs to descents and vice versa with ease. 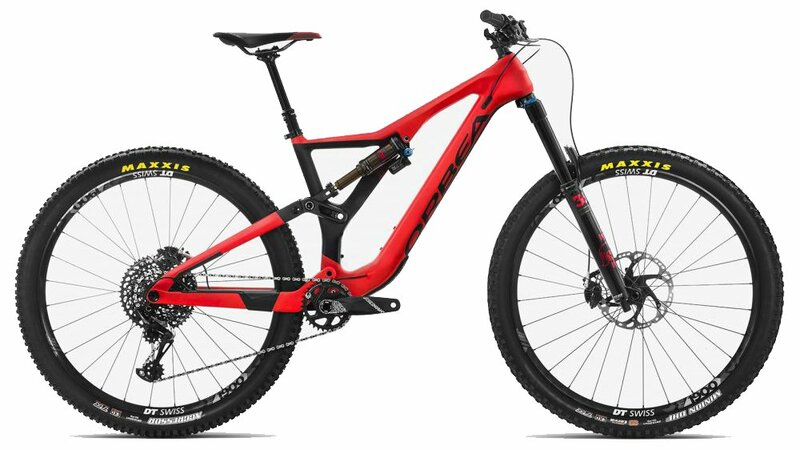 The DT Swiss wheels are light and extra efficient, while the Race Face Aeffect cockpit provide the responsiveness you look for in an all-star enduro rig. Oh boy, my first review! I ordered this while deployed and ended up having to call Jenson because they were in the middle of a website update. I talked to Tyler, and he was more than helpfull. I was between a Wreckoning and the Rallon, and have had my eye on the Rallon since it came out. I asked some questions, pros and cons about each bike and Tyler shared his advice with me and gave me a bit of info about some of the other guys at Jenson and what they ride. He was able to work a little deal with me and give me a little more bang for my buck, which was awesome, and I didn't really even have to ask! This is my first full carbon bike. My other bike was a Lapierre Spice 327 that I've upgraded a bit. It's an awesome descender, but it's a pig when it comes to climbing, especially with the Float X2 on it. I've only put about 25 miles on the Rallon so far (Bentonville) but I found that it's going to take some getting used to with the 29'ers. Picks up speed much faster than I expected which put me in some interesting situations. The spec of the bike is awesome for the price, in my opinion. The frame is beefy, the pictures don't do it justice. The top tube and downtube are fat and chunky but sleek and appealing. The whole bike FEELS "enduro", not flimsy and breakable. The drivetrain is quick and makes climbing a breeze. The tire combo is great, I won't be replacing the Agressor and Minion DHF until they need it. The only thing I wish they could do is set it up tubeless from the shop, but working in the aviation industry I understand how that could pose a problem for shipping...a messy problem. I'm 6'1, 185lbs and ordered an XL. It fits perfectly. In fact, the shock and fork came nearly perfectly setup for my weight and prefered feel. Only had to bump up the rear shock a few PSI to get the prefered sag. The only other adjustmet I had to make was the seat. Moved the dropper up a couple inches and moved the seat forward maybe half an inch, and slanted it down slightly from how it came. The bike feels very well balancedand definitely exceed my current abilities. I'm looking forward to entering my first Enduro race this summer with this thing. The one item I swapped out was the grips. I'm not sure if its just me, but the Orbea Grips are pretty thin and cause some hand pain. Threw on some Ergon Enduro grips and the feel is MUCH better. Anyways, Thank you Tyler for making the transaction smooth even though there were a couple circumstancial hangups. It's nice to know that there are still companies that have great customer service, and I feel that I can know for a fact that if something were to come messed up in the box that they would have taken care of it without question. What is the crank length on XL frame? BEST ANSWER: All 3 sizes of this bike come with a 170mm crank. However, if you want a different length, you can utilize the Orbea MyO program to specify the length. Further, you can customize the color and more for no additional charge. It does usually take about 6-8 weeks, but you could have a fresh customized whip. Follow this link to the MyO program: https://www.orbea.com/us-en/myo/step-1/. 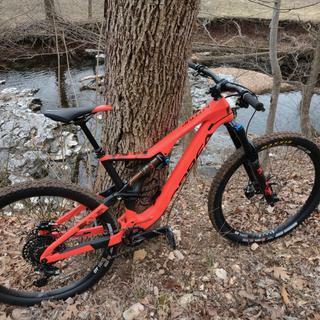 Otherwise, hit up our Gear Advisor team for any help on getting setup with this bike and any other gear. What is the maximum tier width ? What are the hubs provided?